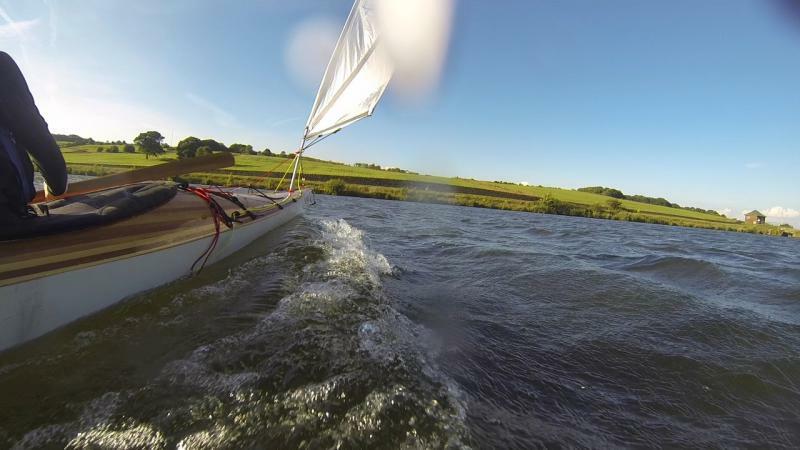 An evening at High Rid, Paddle Sailing with the Shearwater Sport. The rig is by Flat Earth. This setup will tack upwind. It's surprisingly easy to lean out to balance the sail, and paddle strokes on the windward side counter a little weather helm. In a stronger wind, a low brace might be handy on the leeward side.